Are they sleepless in Seattle? I'm guessin' the answer is yes, now that Airbus has confirmed it is fixin' to build a A320neo assembly plant in Mobile, Alabama, less than 650 miles from Boeing’s just opened Dreamliner factory in South Carolina. Mobilians and their new best friends the French, are grinnin’ like country bears. This is a business story first and foremost, a high stakes international competition between multi-billion dollar aerospace companies. 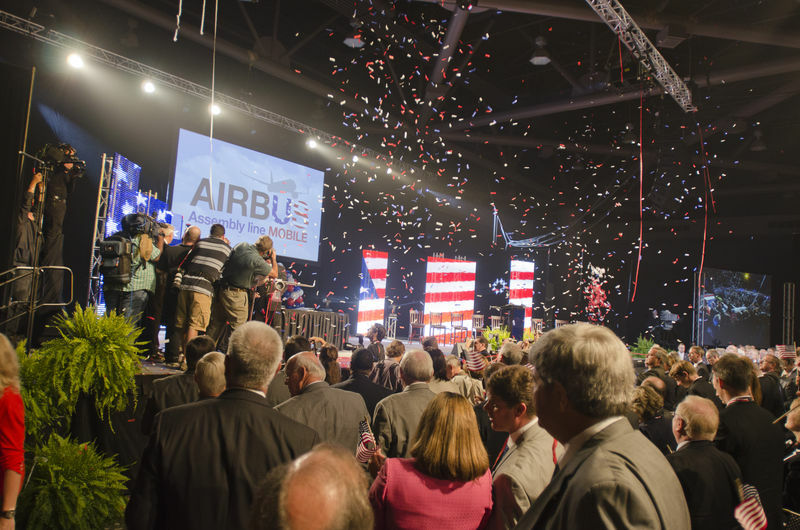 Bless its heart, Airbus will spend $600 million on the final assembly factory that will employ a big ole’ heap of local folks. Boeing’s tore up about the situation, complaining that Airbus has an unfair advantage since the French government owns a partial share of the planemaker. But down in the country they say, “If you can't run with the big dogs, stay under the porch,” and Airbus boss man Fabrice Brégier likes the notion. “They would be very welcome to invest in an assembly line in Europe. Please, Boeing, do it." Mr. Brégier told Boeing through a Flight Global interview. Having spent years living in America’s deep south, I know Airbus and Alabama are in for some interesting times sho nuff as they learn how to live and work together. Let’s start with basic comprehension. If, like me, you think French accents are adorable and southern accents are charming but have difficulty understanding what is being said in either case, just remember, southerners say fixin’ for planning to, near 'bout for almost, hankerin for want to and I’ll tell you whut? just to fill conversational space. Finding common culinary ground could get interesting. But for starters, remember French fries = pommes frites and grits = polenta. Don’t get all uppity, good fromage will survive pimentos and lardons ain’t but a fancy name for bacon. Pâté, escargot and croissants in France – those be chittlings, crawdads and biscuits down home. They don’t call America’s south “the Bible belt” for nothin’. There’s a church on every corner, a reminder that Christianity is alive and well in Alabama. Atheism may be the unofficial religion in France with a piddlin’ percentage of the population reporting they attend worship services, but that dog don’t hunt in America's south. I hear tell Airbus has learned itself a thing or two from the Mississippians who are already putting Eurocopters and US Army Lakotas together just down the road a piece in Columbus, Mississippi. 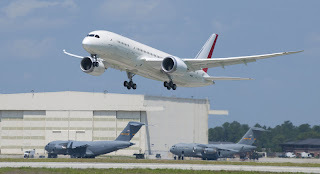 Before the bulldozers rumble into Mobile, Alabamans might should carry their newest immigrants over yonder to get a lesson in some of the finer points of blending cultures, cuz, if Airbus and Alabama are of a mind to keep Boeing awake at night, they should set their minds to learning how to sleep together. It is a business deal. This is a mega manufacturing business and not a sales and maintenance organization. Airbus has a lot of hurdles and challenges to overcome starting from logistics, unions, culture and work ethics all the way to Alabama's immigration laws and job creation issues in Europe. I have been a resident of the south for less than a decade and I am not only getting used to its unique culture, but in fact embracing it. It is way more like the US of A of my childhood than is contemporary Southern California where I grew up or Colorado where I was an undergraduate. In the little Texas town where I live we fly the flag, and not just on the 4th. Yes ma'am and no sir are the rule, not the exception. When Christmas comes around, in addition to the high school band, drill team, Boy Scouts and Santa in the iconic vintage Cadillac convertible adorned a set of longhorns there is also a float (flatbed trailer) with Jesus, Mary and Joseph. Maybe Airbus, like Boeing has decided that it is good business to put a manufacturing plant in a location where "blue collar" work is still an occupation and not an epithet. A culture where employees know that their check is signed by the company and not by the union. I agree with you Christine. Just like the 1986 Michael Keaton movie, Gung Ho, the success of the plant will hinge on Airbus ability to empower the American spirit. Nice, brand new blog site. Looks good so far, but needs some tweeks. Lets start with why the friggin Comment button is so hard to find. Think it through... Where are folks (on the screen or within a posted item when they feel the urge to commet? They are not at the top line! Other notes can wait - I know that you are working out some bugs. As for this post about the AirBus factory in 'bama... First, it is sort of hilarious, but that folks in 'bama may not think so. I doubt that Boeing really gives a twit. While the AB plant in 'bama is probably related to labor costs, the overall cost of production for Big Airplanes is mostly management efficiency, not hourly wages. Both Boeing and AirBus are pretty good at smooth assenbly work, so not a big issue. 'bama will enjoy the added jobs and has granted many concessions, but ANY state to city would do much the same. That 'bama is a Right-to-Work state and that unions are not popular 'down there,' is probably not relevant. AB needs skilled workers, not bumpkins; if they cannot find them locally, they will import them from other states. In either case, they will have to pay them a fair wage etc. On the whole, the ne w AirBus factory is +/- a non-event. Both airframers were in need o f more capacity and both have now build new plants. That both are in Southern states is mostly a coincidence, in my view. Both build world-class airplanes and both emply thousands of talented workers. Aside from the usual concerns about climate and existing infrastructure, the locations of their factories don't really mater a lot. Both of them have to import/transport large components from distant contractors, but those costs are not a huge part of the pie. So, Is Boeing 'sleepless' or worried about having the other guy's plant on US soil? I kind of doubt it. It is relevant to nothing in Boeing's world. Both a-framers will contine selling and delivering their products to customers world-wide. In this century, the location of the assembly plant, in relation to the customer's location is simply not relvant. The product's whole purpose is to move great distances and quickly. They are the machines that other industries use to move their goods to their customers. 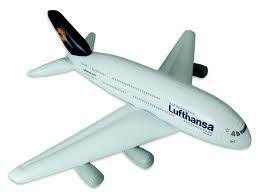 And yes, I think that Boeing's executives sleep well. The world needs - and has ample room for - both of these companies. And they tend to keep each other on teh good side of honest.